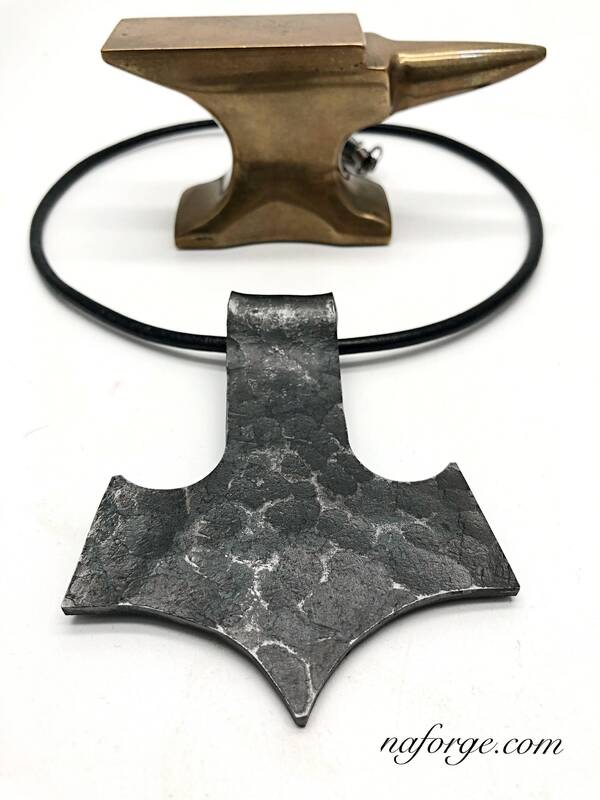 The pendant is heated in the forge, then hammer textured on the face of my anvil , giving it random strikes with my forging hammer. 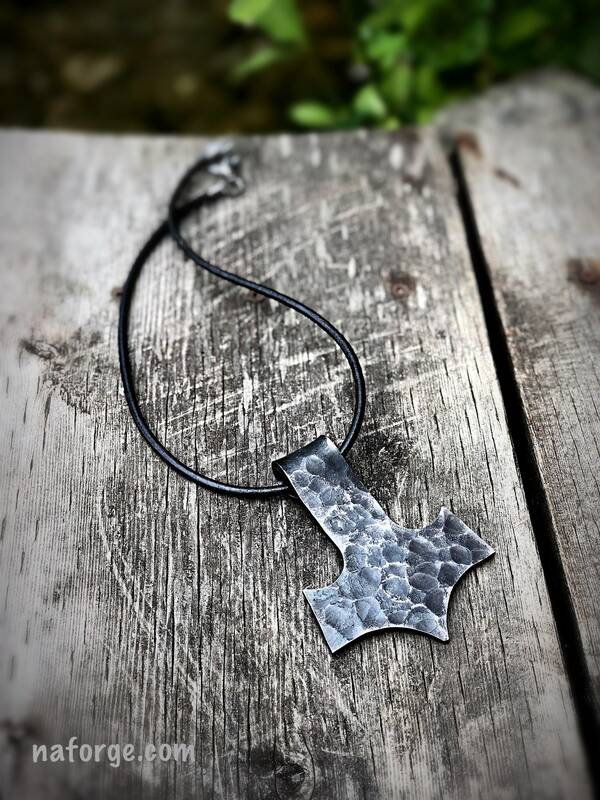 This also adds to the originality of the pendant making each one unique...A large lobster claw clasp makes the attachment in the back. 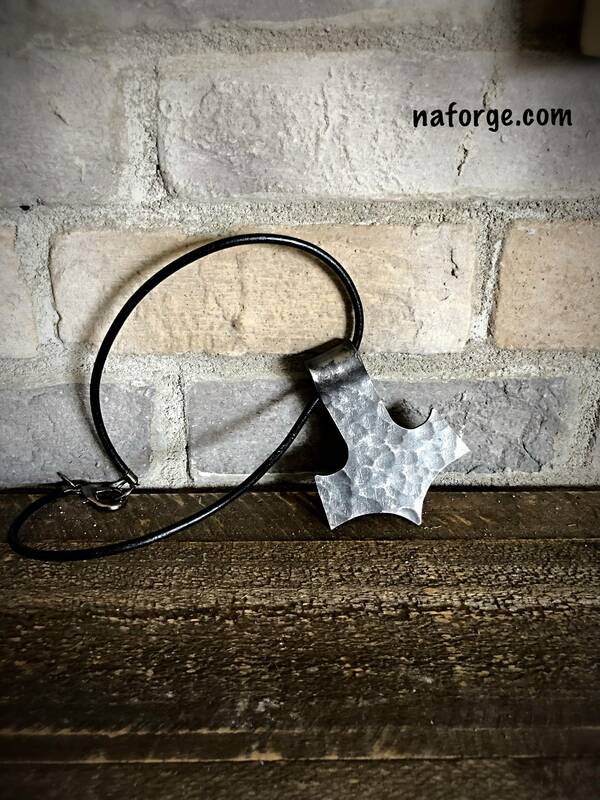 After the texturing, I form a loop to accomodate the leather necklace cord, each pendant is signed on the back with my maker's mark "Naz". 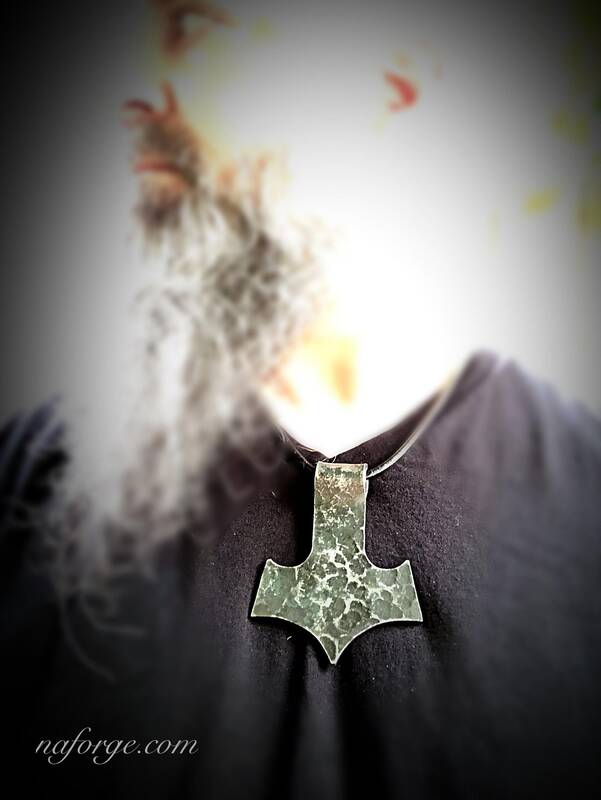 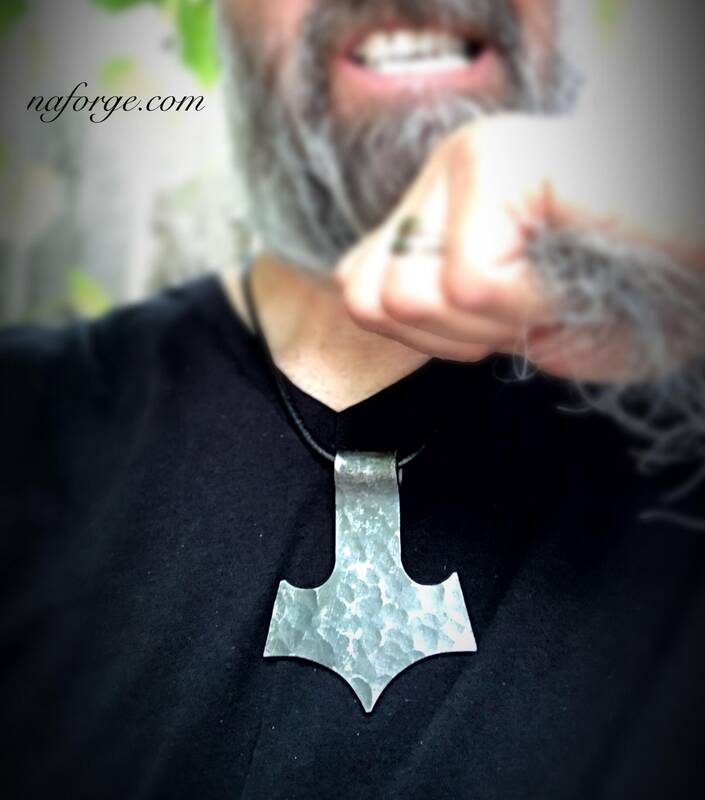 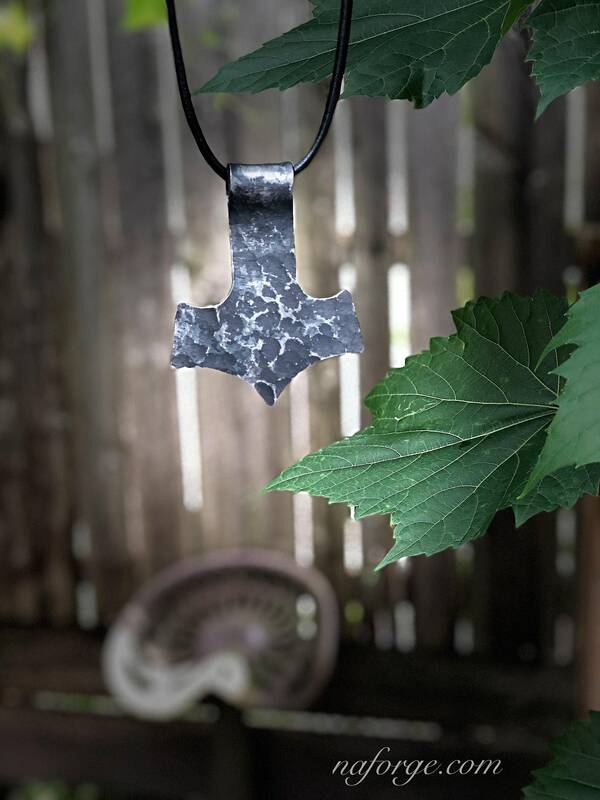 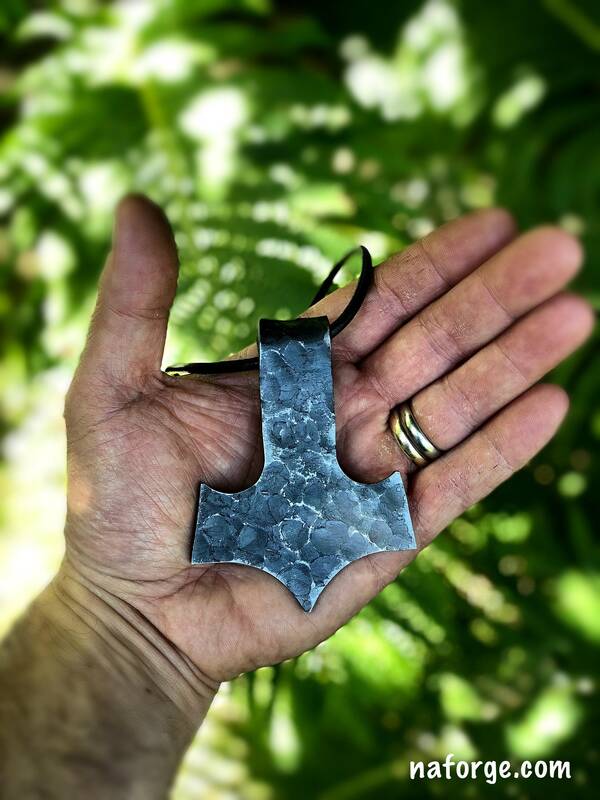 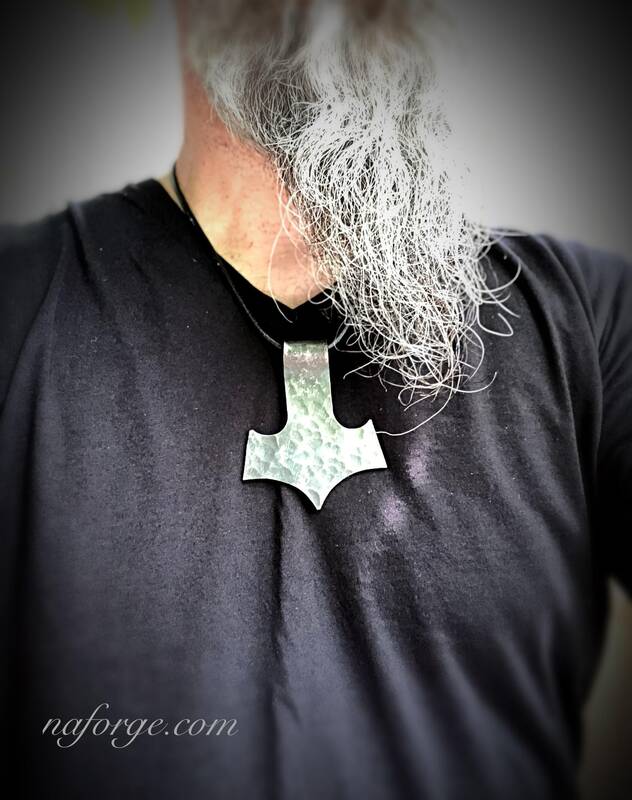 During cleanup, I leave some of the fire scale which gives each one a unique finish with the hammer marks highlighted with light gray to darker contrasts, the pendant is then clear coated for protection and to keep the raw iron look. 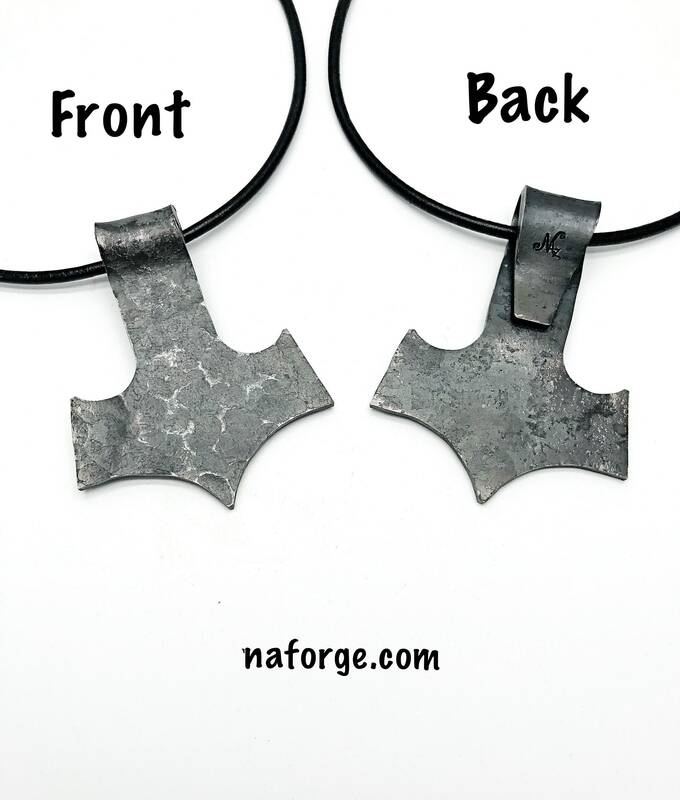 The length of the leather necklace is 21", if you would like it shorter or longer, just mention the length of your choice at the "note to seller" during checkout and I will adjust it to your desired length. 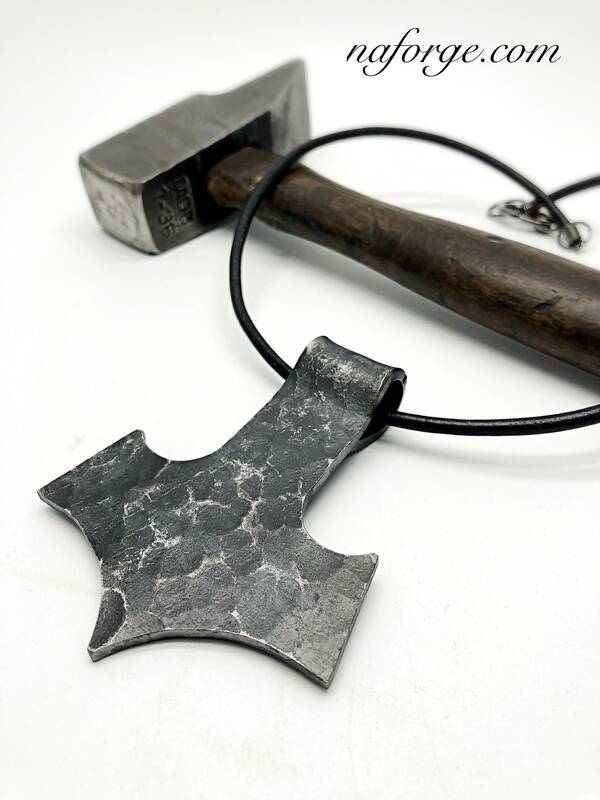 Weighing in at 101 grams (necklace included), the size of pendant is approximately 3-3/4" x 2-3/4".